Made in fine-quality 14k solid yellow gold. 14K yellow gold chain, included in 18" (other sizes available by request). Also available in white gold (shown below). 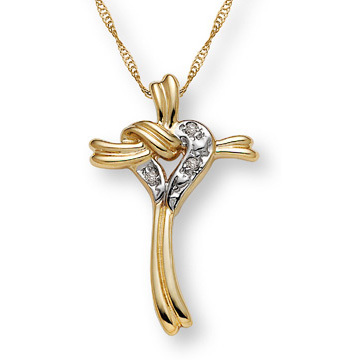 We guarantee our Diamond Heart Cross-Knot Necklace, 14K Gold to be high quality, authentic jewelry, as described above.